The May 2011 issue of Bon Appetit has a great recipe for Chive Pesto. In addition to chives it also calls for parsley. Since I’m not a big fan of this herb, I decided to try it with cilantro. With a couple of ingredient swaps (lime for lemon and a dash of hot sauce) you have Cinco de Mayo Chive Pesto! 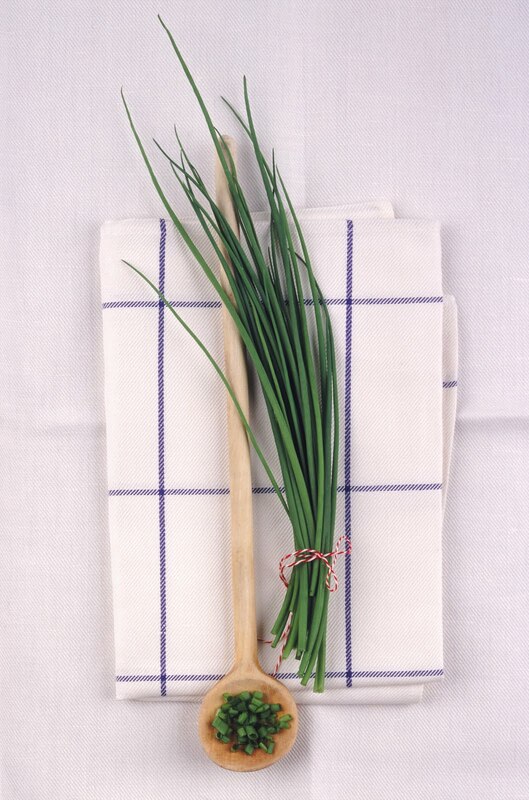 It’s a super easy and delicious way to use those spring fresh, onion-y chives growing in your garden. In a food processor add chives, cilantro, nuts and garlic. Pulse until chopped. With machine running, stream in olive oil until combined. Whirl in lime juice and hot sauce. Add salt and pepper to taste. This is great on grilled fish, chicken or veggies and, as the original stated, great on roasted potatoes too. Delicioso! « A Sure Sign of Spring — Farmer’s Market!